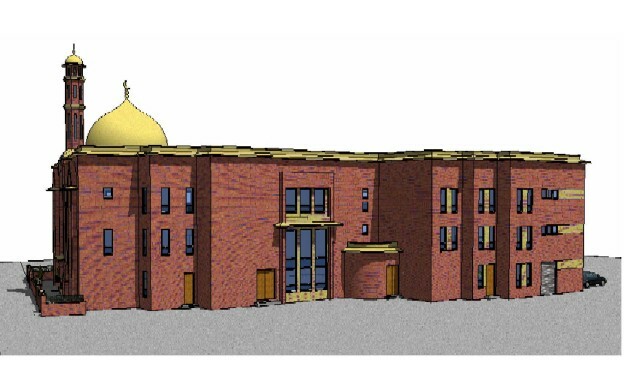 The Islamic Academy of Manchester is now very close to realising its vision of establishing a a Masjid and Community Centre for the Longsight and immediate surrounding areas of Manchester. There are no main Masjid facilities in the immediate area which is unfortunate as there are now more than 1,000 Muslim families living in the Longsight area. Many have no transport and have to walk to the nearest Masjid. This also prevents the local Masaajid acting as proper meeting places and Community Centres. ………….“Those who build… the Houses of Allah, Allah will build for them a PALACE in Jannat”…………. “Spending in the way of Allah (SWT) does not reduce wealth. Give freely and Allah will shower his favours freely (Hadith)”…………. 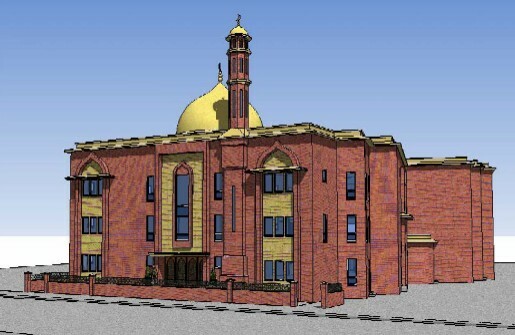 The site was purchased by the Islamic Academy in 1997. Plans were drawn up and a steel frame put in place in 2001. Since then, funding and finding an appropriate contractor has been very difficult. The contractors have now been appointed and are well on the way to completing the shell of the building. Therefore we are now in desperate need of funds to ensure that the project can be completed on schedule. The external phase was completed by 2007, and most of the internal work was completed by 2013. Two floors are now complete internally. The upper level still needs electrics, plastering and finishing (as of June 2014). You can see photographs of the completed work below which includes the mortuary, wudhu areas, PA system, fire and CCTV security systems here. These photos were taken on 8th June 2014. Cash should never be posted, Please contact :Mufti Faiz-ur-Rehman ( Mob : 07815108503) and Maulana Murtaza Hassan (Mob: 07999613463) if you wish to make a cash donation. Study circles and Quranic Education for children Currently the costs of running all these activities has been met by donations from the trustees themselves.